Borrusia Dortmund returned to winning ways this past weekend with a 2-1 victory over Borrusia Monchengladbach at the Signa Iduna Park on Firday night. Having lost their first game of the 2018/19 Bundesliga season, Lucien Favre’s side knew that there was no room for error and had Jadon Sancho and Captain Marco Rues to thank for the goals which came either side of Christoph Kramer’s equalizer. Victory means that Dortmund maintains their six point caution over second-placed Bayern Munich who cruised past Eintrancht Frankfurt 3-0 on Saturday with Frank Ribery scoring a brace and Rafinha grabbing the other in a fine display for the Bavarians who have now won all their last five league games on the bounce. For Gladbach, they slip into third on the log, only two points ahead of fourth placed RB Leipzig who were 3-2 winners over Werder Bremen on Saturday. Ralf Rangnick’s side raced into a 2-0 lead in the first half at the Red Bull Arena thanks to Lukas Klostermann and Timo Werner but Bremen responded with two goals of their own in 10 minutes through Max Kruse and Joshua Sargent to level the tie. However, Armindo Bruma won it for the hosts with four minutes to play for Leipzig’s 9th win of the season. Elsewhere, there were also victories for 5th placed Wolfsburg, Bayer Leverkuson, Freiburg, Schalke and Fortuna Dusseldorf. Wolfsburg won a 5 goal thriller away to Augsburg with Yannick Gerhardt scoring the winner a minute from time, Leverkusen were 3-1 winners over Hertha Berlin, Manuel Gulde scored the only goal of the game as Freiburg overcame Nurnberg 1-0 away from home, Schalke overcame Stuttgart 3-1 while Dusseldorf required an Oliver Fink 90th minute winner to dispatch Hannover 1-0 at the HDI Arena. In the French Ligue One, PSG also returned to winning ways with a 1-0 win over Nantes at the Parc des Princes. 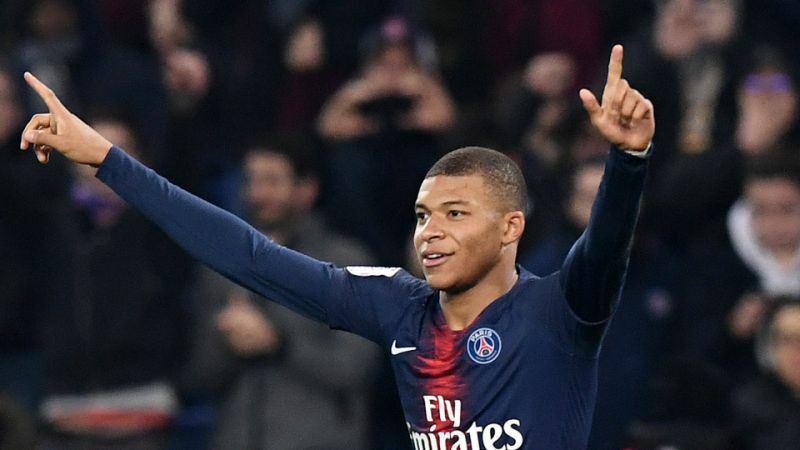 Having drawn their last two games prior to Saturday and without star-player Naymer Jr, Tomas Tuchel’s side struggled to break down Nice and had to wait for Kylian Mbappe’s goal, 22 minutes from time to earn them all three points that restore their 13 point lead over Lille in second. For Lille, they relinquished a 1-0 lead at home to Toulouse, losing 2-1 in the end. In-form striker Rafael Leao put Christophe Galtier’s side in the lead inside 17 minutes but two second half penalties by Max Gradel were enough to subject Lille onto their 5th loss of the season. At the Stade De la Mosson, home-side Montpellier played out a 1-1 draw with third-placed Olympic Lyon. Lyon Captain Nabil Fekir put the visitors ahead on 67 minutes but his effort was cancelled out by Ruben Aguilar’s equalizer 9 minutes from time. The point earned by Lyon sees them move only two points behind Lille who have played a game more that Bruno Genesio’s side. Montpellier are still in 4th, level on points with 5th placed St. Ettiene who took care of Dijon 3-0 at the Stade Geoffroy Guichard on Saturday. Kevin Monnet Paquet, Robert Beric and Wahbi Khazri scored the goals for Jean Luis Gasset’s side. For Marseille, they drew 1-1 away to Angers to slip into 6th, having played 17 games this season. Stephane Bahoken handed the hosts the lead on 36 minutes before Bouna Sarr equalized with 6 minutes to play. Elsewhere, bottom placed Guingamp registred their first victory in 10 Ligue One matches, defeating Theirry Henry’s Monaco 2-0 at the Stade Luis II. Marcus Thuram and Nolan Roux scored the goals for the visitors who remain rooted at the bottom of the pile, two points behind Monaco in 19th. On the same weekend, there were also victories for Rennes and Strasbourg. Rennes defeated Reims 4-0 with Theoson Siebatcheu helping himself to a brace while Benjamin Andre and his name sake Bourigeaud scored the other two goals. For Strasbourg, they overcame Patrick Viera’s Nice 2-0 at the Stade de la Meinau thanks to Adrien Thomasson and Lamine Kone’s goals. 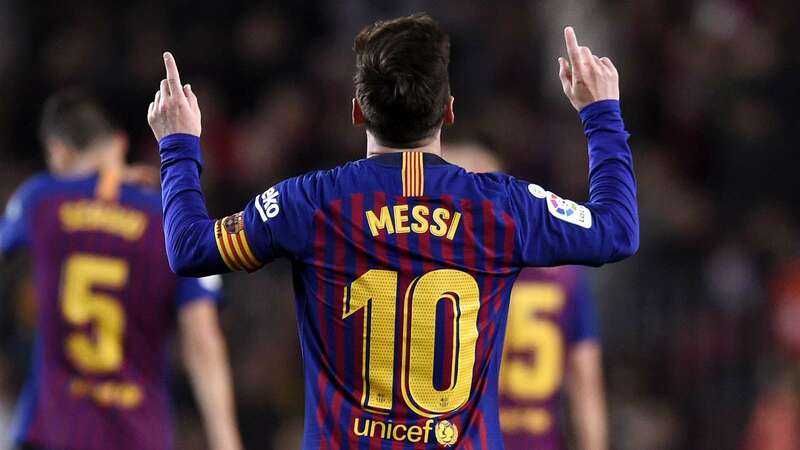 In the Spanish La Liga, Barcelona maintained their three point caution at the top of the standings, defeating Celta Vigo 2-0 away from home. Ousman Dembele and Lionel Messi scored the goals for Ernesto Velverde’s side. Atletico Madrid dispatched Sevilla from second place thanks to 1-0 home victory over Espanyol at the Wanda Metropolitano. Antoine Grizemman scored the only goal via a 56th minute spot-kick. For Sevilla nwho are now third, they could only manage a 1-1 draw away to Leganes. Pablo Manchin’s side who played the majority of the game with 10 men after Franco Vazquez was sent-off in the first half, fell behind to a Mikel Vesga goal inside 5 minutes and had to wait till the 90th minute to equalize through Wassim Ben Yedder. With Real competing in the FIFA Club World Cup, 5th placed Deportivo Alaves moved to within a point of the Madrid side thanks to 1-0 victory away to Real Sociedad on Friday. Jonathan Calleri scored the only goal inside 11 minutes of the game. Elsewhere, Valencia and Rayo Vallecano were the other only victors of the the weekend. The two sides defeated Huesca and Levante 2-1 respectively. In the Italian Serie A, Juventus registered their 17th league victory of the season, seeing off Roma 1-0 at the Allianz Stadium in Turin. 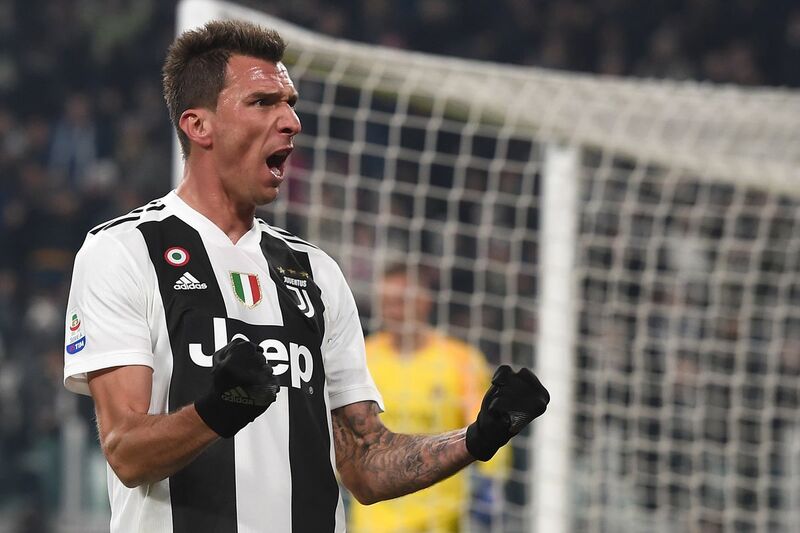 Mario Mandzukic scored the winner 10 minutes to halftime. For second placed Napoli, they remained 8 points behind Juve after overcoming SPAL 1-0 at the San Paulo. Raul Albiol scored the only goal of the game at the stroke of halftime. Third placed Inter Milan conceded a Sergio Pellissier 90th minute equalizer to draw 1-1 away to Chievo Verona. Ivan Perisic had put Luciano Spalleti’s side in front six minutes to halftime. Inter are now 8 points behind Napoli and 5 ahead of 4th placed Lazio, who defeated Cagliari 3-1 on the same day. At the Estadio Guiseppe Meazza, AC Milan registered their first loss in five League games, losing 1-0 against Fiorentina. Federico Chiesa scored the winning goal for La Viola, 13 minutes from time. At the wrong side of the table, only Genoa triumphed over the weekend. Cesare Prandeli’s side defeated 9 man Atalanta 3-1 at the Comunale Luigi Ferraris. Rafael Toloi’s Own Goal handed the home sides the lead at the stroke of halftime. Atalanta equalized through Daniel Zapata, 10 minutes into the second half but conceded twice in the last 22 minutes via Darko Lazovic and League top-scorer Krzysztof Pitek before seeing Toloi and Jose Palomino sent off.